Riding outdoors in the winter takes extra planning and preparation, but gliding through the muffled quiet of the first snows and coming indoors with spent legs is totally worth it. To make cold-weather riding safe and comfortable, take a little time to winterize your bike, and invest in cycling clothes that will keep you warm and dry all winter long. Read on for our top picks for head-to-toe men’s winter cycling fashion. Our favorite shirt is Kitsbow’s take on a classic: the Icon Shirt. This limited-edition piece blends Pendleton wool with technical dry panels to create a warm-when-wet, super mobile, classically styled design. Built for the winter, yet also a stylish piece for anytime. On top of a beautiful, warm jacket and shirt, in the coldest, wettest, windiest conditions, a hardshell is a must. We pick Rapha’s Hardshell Jacket for its completely waterproof, windproof construction. Through all of its rugged design, this workhorse of a jacket still manages to breathe, making it ideal for stop-and-go commutes through nasty weather. The sleek, stripped-back style furthers the look, allowing it to move from bike to city streets with ease. 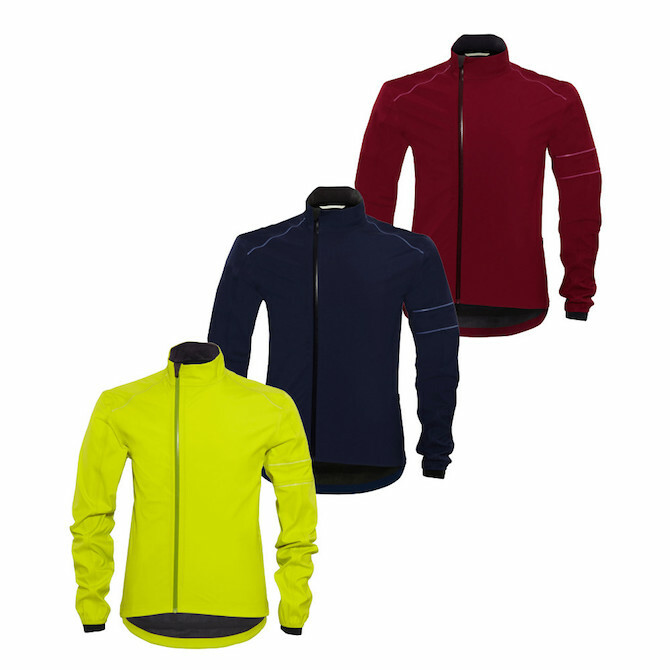 To add warmth to wearable tops, we throw on the Double Jack Reversible Jacket by Club Ride. 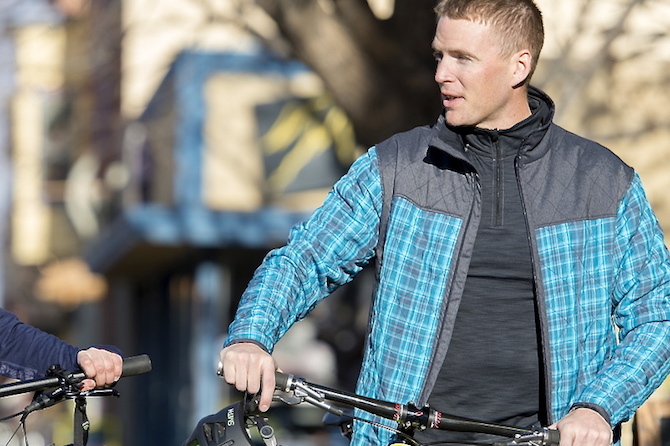 We look for everything in a jacket: warmth, moisture control, durability, reflective accents, and mobility. This jacket does it all and adds anti-bacterial functionality and reversibility for twice as much fashion sense. 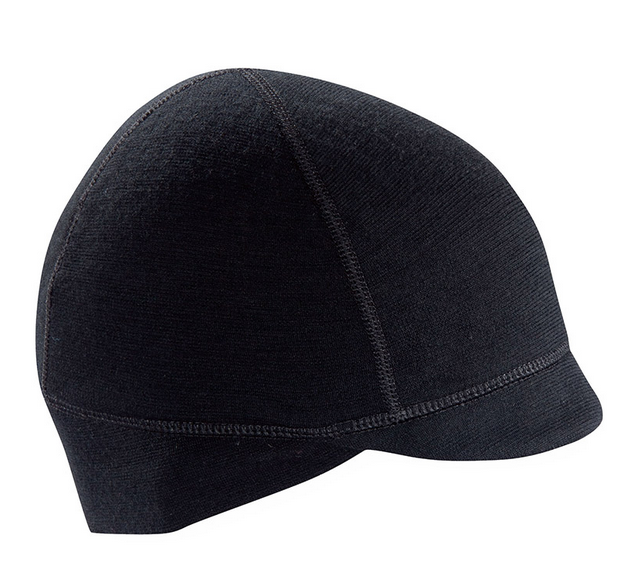 Keep your warmth from escaping right from the top of your head by snagging a thermal, wicking cap. The Coppi Cap by Ibex is built with wearable Merino wool that stays breathable and warm when wet. Plus, it fits comfortably under a helmet, which works to keep your noggin comfy and in one piece. If you’re riding in all weather this winter, gloves are an absolute must. We look for weatherproof, comfortable gloves, which is exactly what you’ll find in the XLC Full Finger Neoprene Glove. The extra light breathable fabric features microfiber leather inside and a terry cloth fabric on the outside of the thumb, ideal to wipe off sweat. Your toes are just as important as your fingers, and just as subject to cold while cycling. Keeping feet warm is a top priority in winter conditions. We suggest a one-two punch to the cold, in the form of thicker socks paired with thinner layers. Try Smartwool’s PhD Cycle Ultra Light ¾ Crew Socks under Sealskinz’ totally waterproof, breathable, and windproof Thick Mid Length Sock. Or if you are looking for some real style, check out Raleigh’s Facebook page – We love giving away socks for all sorts of occasions.